Macaroni Joe's loves to do parties. We offer various private dining facilities to accommodate groups of 8 or more. Please limit group size to 55 people. We can also customize special menu's to satisfy the most discriminating diner. Entertainment includes: Vino Lounge and Bar, Macaroni Joe's most relaxing setting, has 2 LCD TV's to show the Game of the Day. We also offer live music on Special Occasions and Holidays. Macaroni Joe's loves to do banquets. 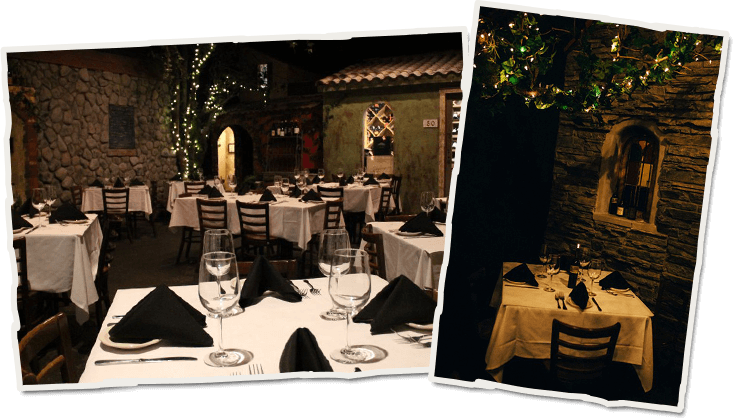 We offer various private banquet facilities to accommodate groups of 8 or more. Please limit group size to 55 people. We can also customize special menu's to satisfy the most discriminating diner.